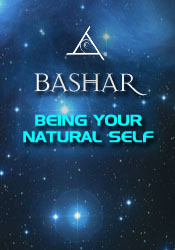 In this session Bashar reminds us that we are all expressions of nature. What if other life forms doubted their passions and didn’t act on them? What if birds were afraid they couldn’t fly, and trees decided they were not good enough to produce fruit? If other natural beings stopped doing what they were created to do, life would stop on our planet. We don’t usually think of it in that context, but fear of acting on our passions stops each of our worlds in much the same way. In this vintage session Bashar helps us explore our passions and the part each of us plays in All That Is, and the benefit of being natural rather than normal. This is one of Bashar’s best talks on overcoming doubt, fear, and limitation, so each of us can bloom in our lives just like flowers. By balancing and aligning ourselves, we also create a healthy and harmonious Earth, as a natural consequence of following our excitement. The secret of remote viewing.